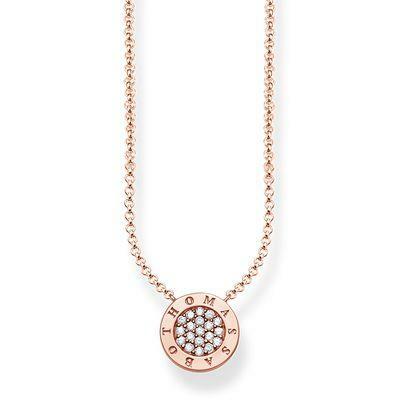 This elegant necklace by Thomas Sabo, made of 18ct Rose Gold Plated 925 Sterling Silver, is a seamless fusion of classic monochrome and timeless design. Sparkling Cubic Zirconia Pave is set at the centre of the round pendant, which bears the classic Thomas Sabo logo. This versatile piece is perfect for adding subtle sparkle to any occasion.